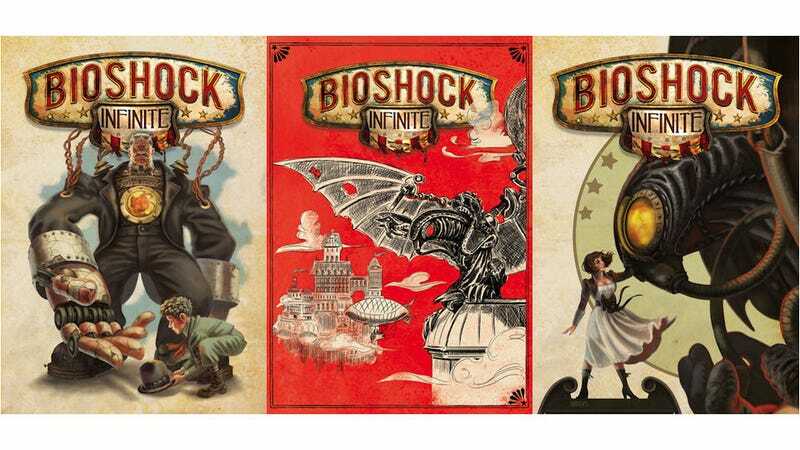 Today Ken Levine, the creator of BioShock, announced that BioShock Infinite will have a reversible box art. But that's not all. You can actually vote on which you want to be featured on the opposite side of your box. Maybe the official box art isn't marketed for you, but the reverse side could be. Personally, the three up top are my favorites, with the right-most being what I'd vote for. As of this writing, the number one voted design is a solo Elizabeth, which to me seems too simple compared to the many other gorgeous ones. Let's go fix that!